Photo courtesy of Dazed and Consumed Facebook event page. Craft-beer lovers, rejoice. This invitational is full of Virginia brews perfect for every palette. August marks the beginning of Virginia Craft Beer Month, and there's no better way to kick off your celebration than by sampling brews to your heart's desire. 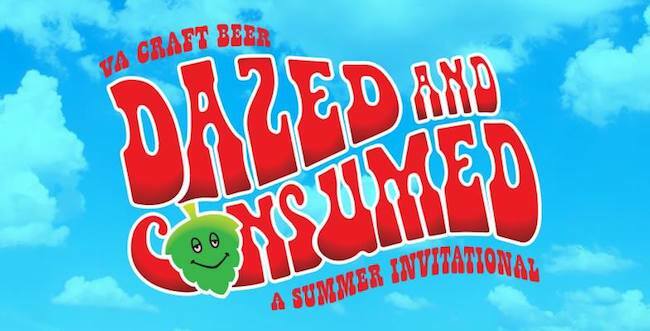 On Saturday, August 4, Dazed and Consumed, a statewide brewery invitational, has you covered. According to the invitational's Facebook page, the list of breweries will be updated until the event. Each participating brewery will feature beers that are limited and have never been distributed to the Hampton Roads area, the event's page also says. While you kick back with a cold one, you can also enjoy cuisine from The Food Dude and Redwood Smoke Shack while soaking up a bit of live music. Attendees must be ages 21 and over. Beers in the festival will not be poured after 6 p.m., but the tasting room and beer garden will both remain open until 10 p.m. Tickets are available at the event's website. Do you plan to attend this event? What's your favorite brew? Tell us in the comments below! Hampton and Virginia Beach police forces sure not how to lip-sync. Watch them here!